Your FAMILY and religious leaders teach you to know and serve God. By following these teachings, you do your duty to God. Men and women of the past worked to make America great, and many gave their lives for their country. By being a good family member and a good citizen, by working for your country's good and obeying its laws, you do your duty to your country. 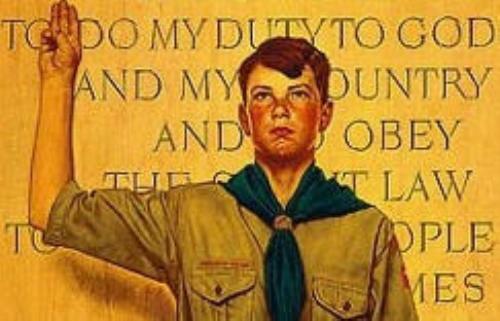 Obeying the Scout Law means living by its 12 points. Keeping yourself physically strong means taking care of your body. Eat the right foods and build your strength. Staying mentally awake means learn all you can, be curious, and ask questions. Being morally straight means to live your life with honesty, to be clean in your speech and actions, and to be a person of strong character.